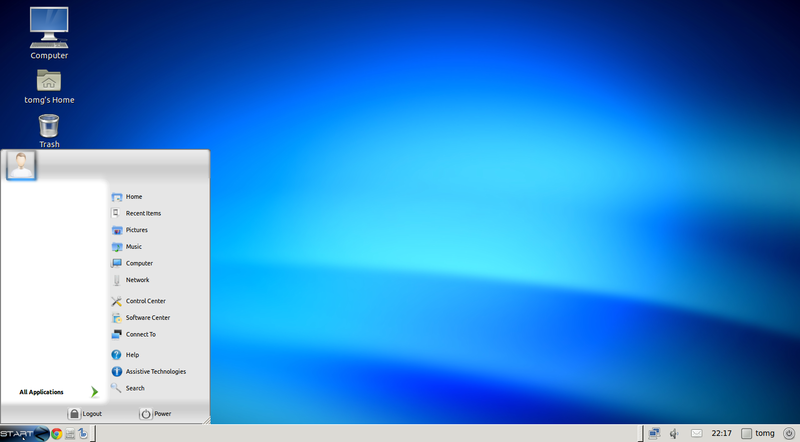 Disclaimer: This isn’t a full review; I’m running Zorin in a virtual machine to see how it looks (Virtualbox 4.1.8). and a bunch of other standard tools, like Deja Dup for backups. Google Chrome is the sole browser initially installed. Java, Youtube, and the Apple Movie Trailer site (Quicktime) work out of the box. Both Wine and PlayOnLinux get installed by default. LibreOffice ends up at version 3.3.4 after updating software. Zorin also tries to step away from the rest of the “newbie friendly” pack by offering 3 exclusives: Zorin Look Changer, Zorin Internet Browser Manager, and Zorin Background Plus. These are nice, but just seemed unnecessary. The Look Changer offers only 3 choices in the Free Edition: Windows XP, Windows 7, and Gnome (which apparently adds the Gnome 2 taskbar at the top of your screen). The 3 other choices are Windows 2000, Mac OS X, and Vista. The Internet Browser Manager is a small front-end that you can use to install other browsers such as Opera or Firefox. There are only 4 choices, and honestly I was surprised that Internet Explorer was not among them. Since PlayonLinux gets installed, it actually would make sense to have an easy way for ex-Windows users to grab IE, but I suppose that the Browser Manager only accesses Synaptic. 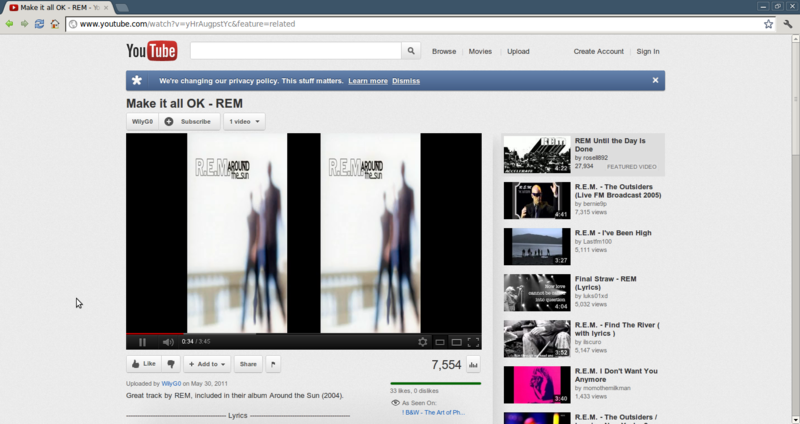 It also doesn’t offer you Epiphany (the Gnome2 browser). The Background Changer Plus doesn’t seem to be in the Free edition. There isn’t a clear description on the website of what additional software is added to each Premium edition that makes it worth buying, and I suspect most of it is available in the repositories but is installed in each edition as a convenience. I was hoping their Gaming edition includes Crossover Linux but I can’t determine if that’s correct. Pressing the “Help” button brings up the Ubuntu 11.04 Desktop Guide, which has several sections that don’t apply to Zorin. Zorin has a small forum where you can ask for assistance, and a link to IRC Chat from their main webpage. I’ve seen additional efforts in other distributions which would be very appropriate for Zorin; PCLinuxOS produces a monthly magazine in PDF form with tips and interviews, and SalixOS and Mint have downloadable PDF introductory manuals. Many distributions also pre-populate the default browser with useful links, but Zorin doesn’t do so. Linux Mint installs an IRC client (Zorin doesn’t), and connects you to their help and chat IRC channels automatically when you use it. Zorin makes some definite changes to the Gnome 2 standard appearance. It isn’t ugly, but for someone coming from Windows, I don’t think it would impress quite the same way that (for example) Vector Linux does, with a very distinctive look that stands out from the many other choices you have with Linux. I understand that Zorin wishes to target a promising group of people – those who are tired of using Windows for whatever reason, and don’t have a friend who uses Linux close at hand to guide them through the initial stages of switching over. But in order to do this effectively, Zorin really needs a thorough going-over. For example, too many Ubuntu references remain in the distribution without any explanation as to what “Ubuntu” is. Many distributions base themselves on a better known one. and yet are able to remove all the old references to their origin. PCLinuxOS, originally based on Mandrake Linux, is a great little distribution which comes to mind. All in all, I’d have to say that I am not impressed. Zorin makes an attempt to do things that might help Windows users transition to using Linux, but then just doesn’t put in enough effort towards that end. I’m not saying it’s an easy thing to create good documentation specific to your OS, it certainly is not. But that extra polish and care is what differentiates the best Linux distributions from the ones that columnists point to when they argue that there are too many versions of Linux. In addition, Zorin’s repositories are aimed at the 11.04 version of Ubuntu, which is almost a year old at this point. So users aren’t getting recent versions of programs, but also don’t have a Long Term Support version to rely on. I like Zorin better than just Ubuntu. At least they give you 3rd pary ready-to-go programs and not have to search and install them. Zorin also takes suggesions for improvement. 10.04 is a Long Term Support version and Zorin has also modified it so that 10.4 was an outstanding OS in its day. 1. Unfortunately Zorin doesn’t use 10.04, it uses 11.04, which is not LTS. 2. Yes, there are some 3rd party programs in the repos. I wish Zorin had done a better job of publicizing them on its website, if they are part of what makes it the best choice for new Linux users. 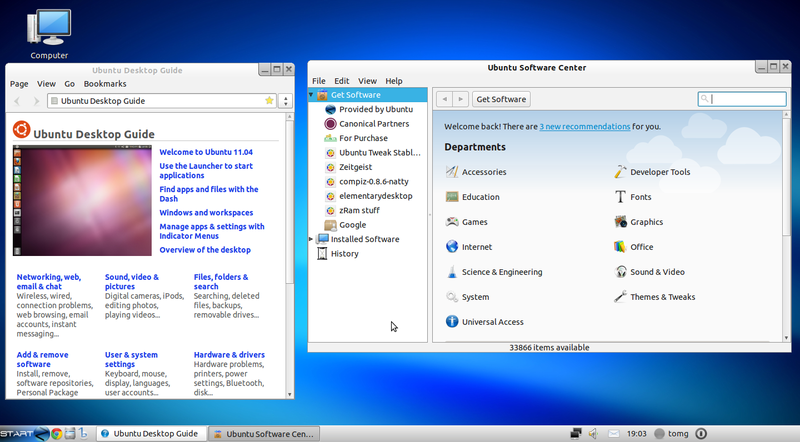 I think Zorin does a tremendous job of polishing the UI for linux newbies. Certainly unique among the few remaining gnome 2 distros. The menus, taskbar and desktop effects are really well done. I agree that there are rough edges, and it does seem to have a limited shelf life. Not sure what your point about Vector was… it’s xfce, no? I’ve always found it to be rather ugly and poorly put together. Open vasm and see some truly horrid looking tools. At least Zorin has great looks and solid package management tools. Yet another “wannabe” noob friendly distro that falls too far short of the mark to be of any use to anyone. There truly are no other options out there for serious use than Debian and possibly Scientific Linux and/or CentOS. All others are just toys to be used by the newbys and quickly discarded in favor of the serious Distro’s designed for stability with sane configuration options. Really, why waste the time and effort with projects like these which are nothing but a waste of developer resources and with the goal in mind of fragmenting the Linux Community? I don’t have a problem with newbie-friendly distros, per se. The first distributions I used were Mandrake and PCLinuxOS, both definitely aimed at the new Linux user. And I don’t think any of these projects have the goal of fragmenting the community, they just think that they offer a better idea than the other guy. People devote time and effort to these projects because they truly think their version is an improvement (at least I hope so). What I’m hoping to see is MORE effort and care taken with these distributions. If PCLinuxOS (as an example) had the repository size that Ubuntu does, it would be nearly perfect for me. There’s very little else it does wrong. What an arrogant opinion. “wannabe”, “noob””no options…serious….Debian”…. Some of us use the ‘other’ distros and have no intention of “discarding them in favour of the ‘serious’ distros”. Linux/BSD is there to give us choice. If you have nothing sensible to offer then don’t bother.. I have no idea, your best bet would be to ask in their forums. and copy all here all you found en gedit.